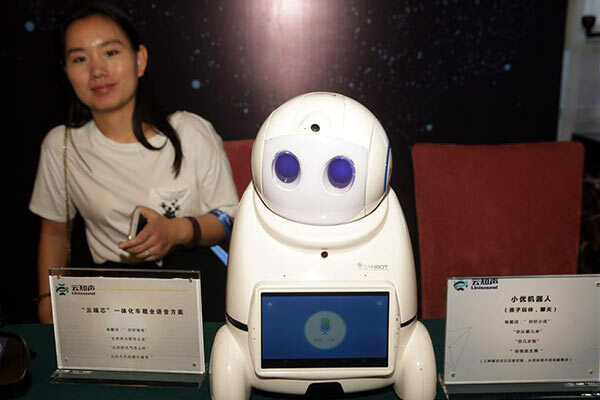 China is poised to expand its global dominance of trade in creative goods and services in such areas as film, television and artificial intelligence, according to a new UN report. The Geneva-based United Nations Conference on Trade and Development said global trade in creative goods, with export growth rates of more than 7 percent over 13 years, is an expanding and resilient sector. In the second edition of the Creative Economy Outlook: Trends in International Trade in Creative Industries, released on Monday, UNCTAD examines the global creative industry between 2002 and 2015 and offers profiles of 130 countries, with China's performance standing out. The report shows that China is the largest exporter and importer of creative goods and services, with its exports of creative goods growing at double the global average between 2002 and 2015. "China's trade in creative goods between 2002 and 2015 has been exponential, with average annual growth rates of 14 percent," the report said. "In 2002, China's trade in creative goods was $32 billion. By 2014, this figure had increased more than fivefold, tallying $191.4 billion." Creative industries, which include architecture, arts and crafts, marketing and advertising, media and publishing, research and development, software, computer games and other core creative work, are the lifeblood of the creative economy, according to the report. In noting the creative economy's contribution to world trade, the report said the value of the global market for creative goods doubled from $208 billion in 2002 to $509 billion in 2015. It also said the creative sector "can make a valuable contribution to the achievement of sustainable development goals". Doreen Wang, global head of BrandZ at Kantar Millward Brown, told China Daily that nearly 10 of the top 50 Chinese brands overseas are software and gaming brands, such as Tencent and FunPlus. Wang cited TikTok, a media app for creating and sharing short videos. The app, owned by ByteDance, was launched as Douyin in China in September 2016 and introduced to overseas markets a year later as TikTok. TikTok's popularity "has exploded in the last few months. You can see its advertising everywhere in London," Wang said. "We will see more Chinese creative brands like TikTok going global in the future." The report noted that from 2002 to 2015, developing economies' participation in the creative goods trade was markedly higher than in developed economies, driven mainly by the performance of China. China's exports of creative goods "grew at double the global average between 2002 and 2015", according to the agency's report. China had a drop-off in 2015, but "despite the drop, China has dominated the bulk of the trade in creative goods" through 2015, it said. China's annual average growth from 2002 to 2015 was 14 percent, and its performance during that period buoyed the global creative economy through difficult periods, the report said. China's exports of creative goods in 2015 alone totaled $168.5 billion — four times those of the United States, it said. Cui Qiao, president of the Beijing Contemporary Art Foundation, said the relationship between the creative industry and people's livelihoods and the education industry is "extremely close". Cui said "the new generation of leading Chinese companies shows a new look in the openness of international cooperation". For example, companies such as online video platform iQiyi, mobile video and photography company Meitu and tech giant Tencent integrate their operations well with big data, youth culture, product development and marketing, Cui added. Simon Collins, founder and CEO of WeDesign, said the rapid development of China's creative industry is linked to the rise of the smartphone, which he said has enabled people to "see everything in the world". "So their tastes are becoming more elevated … and the critical thing here is they are appreciating quality much more," said Collins, who also has been dean of the fashion school at the Parsons School of Design in New York City and a designer and creative director for brands such as Nike, Polo and Zegna. According to the UNCTAD report, "The main creative industry development and innovation sectors to watch are design, fashion and film, which account for the lion's share in the world trade in creative goods. "As the Chinese economy grows, its creative goods and services are set to grow in tandem and will have a lasting impact on trade and high cultural influence," the report said.